All the 6 Music shows from 7am-7pm are marking the station’s All Day Christmas Party. Sorry to see Shaun leave and wish Lauren all the best. Just a little concerned that at the rate the BBC are going with 6 Music Radio 2 and now Question Time that we will get to the opposite end of the spectrum where there will be no males left. Don’t necessarily have a issue with that its just that if we get to that place I doubt there will be half the publicity about it that there has been over the lack of female voices on the good old BBC ! 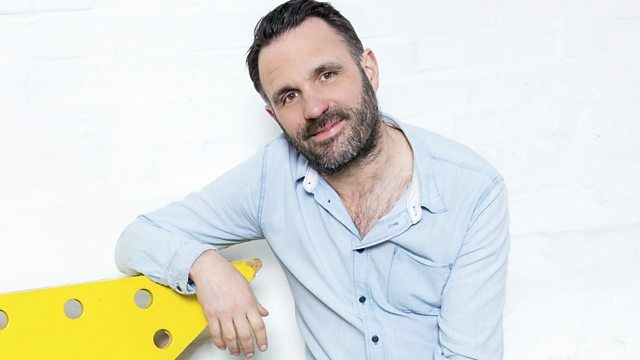 Shaun keaveny for President ! How do you say that? Share Neal’s concerns and have an increasing suspicion that R6 is losing touch with its true audience in a bid to appeal to a younger demographic. Sad. If it’s not broke don’t fix it!!!!! Read and investigate! Shaun is not leaving. Moving to afternoon with RadMac moving to weekend breakfast and the amazing Mary Ann Hobbs moving to weekday midday slot. Note: One Excited Male Listener! How did he get away with it for so long? Namone should have got the job.